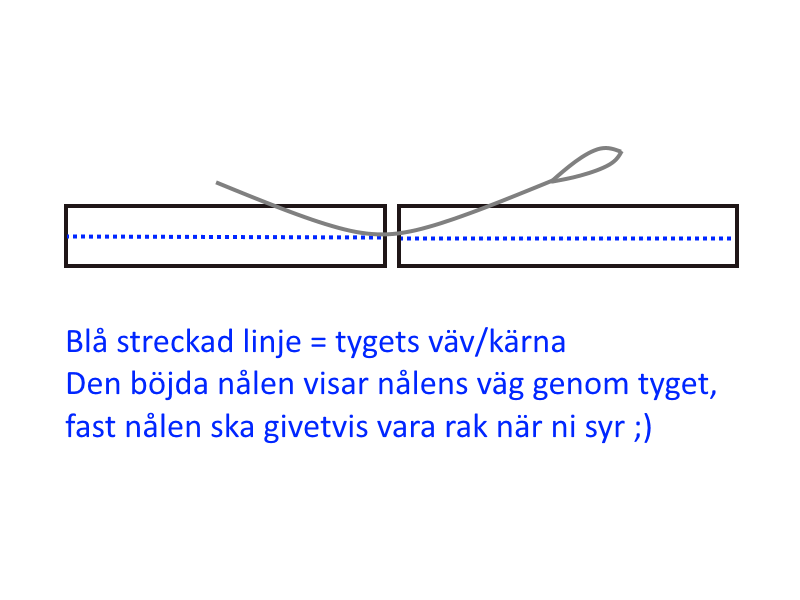 För ovanlighetens skull så inleder jag på Svenska. 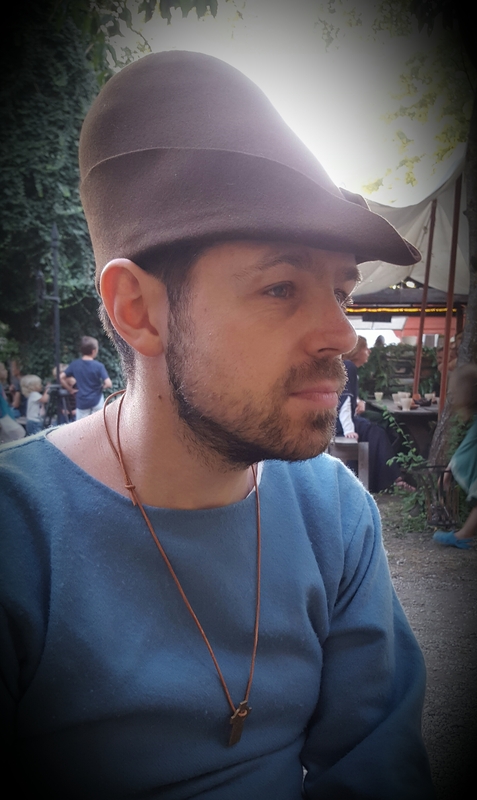 Everybody is familiar with the classic bycocket, the hat that Robin Hood is wearing. 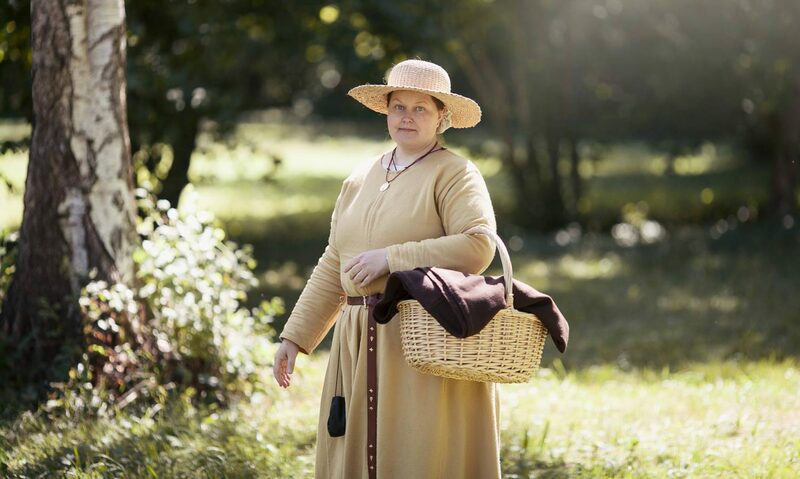 The ”hunting hat” that you can find in many manuscripts with images about hunting. 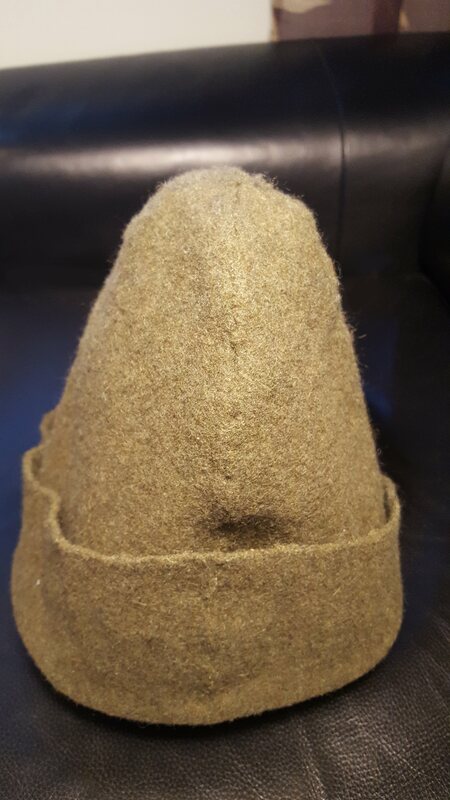 I do agree with those that says that it is a hat made out of a felted fabric that is steemed and pulled over a mold to get it’s bellshape and then the brim is folded upp on just one side, which create the pointed shape. Like this one that my husband is wearing here. 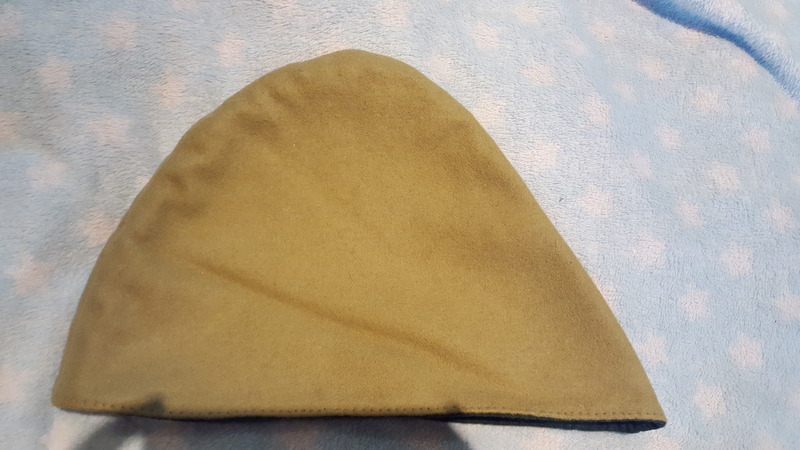 But – It is quite easy to sew one and get the same shape. I have made two – but in different ways. The first was just two pieces of fabric stitched together on the curved part. 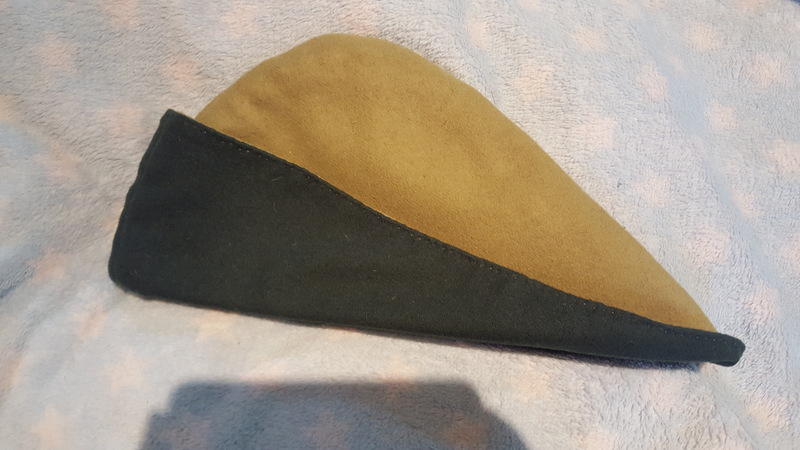 If you look closely, you can se that the part on the right is a bit straighter than the part on the left and the peak is shifted a little bit back (to the left in the picture) thats just to achieve balance and get a longer ”nose” on the hat when you have it on. But I made a pattern that I believe is a good crossover betwen the two. 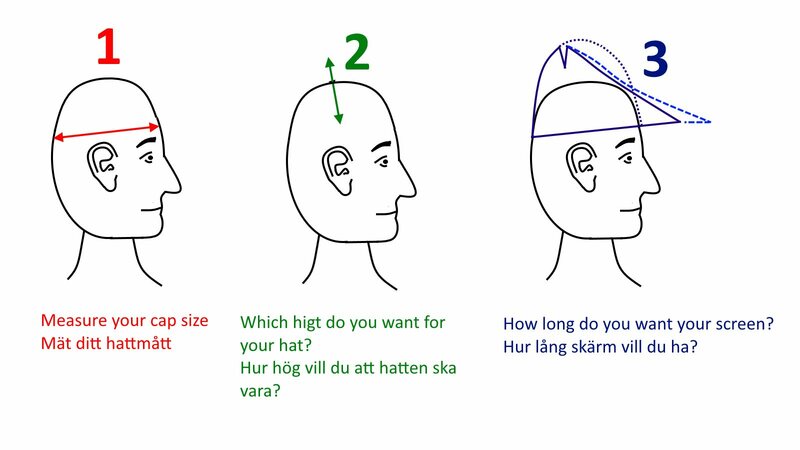 The blue arrow say ”your hat-measurement divided in two”. About that – fabric. If you use a thick felted fabric, like something suitable for a cloak. 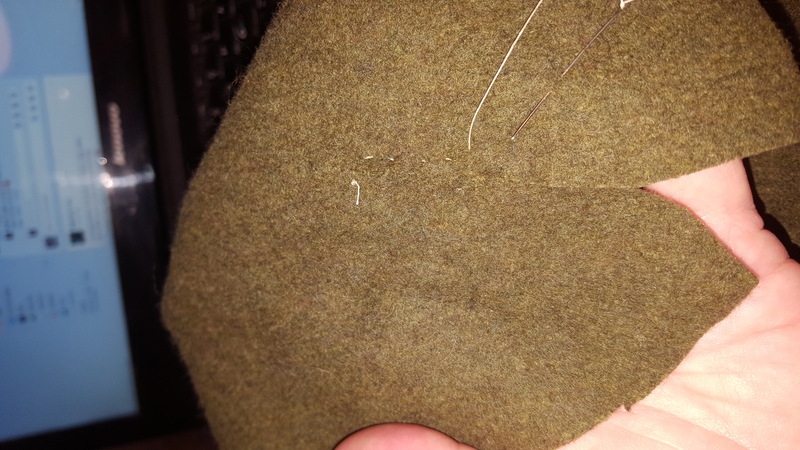 Then you can sew with almost invisible stitches. 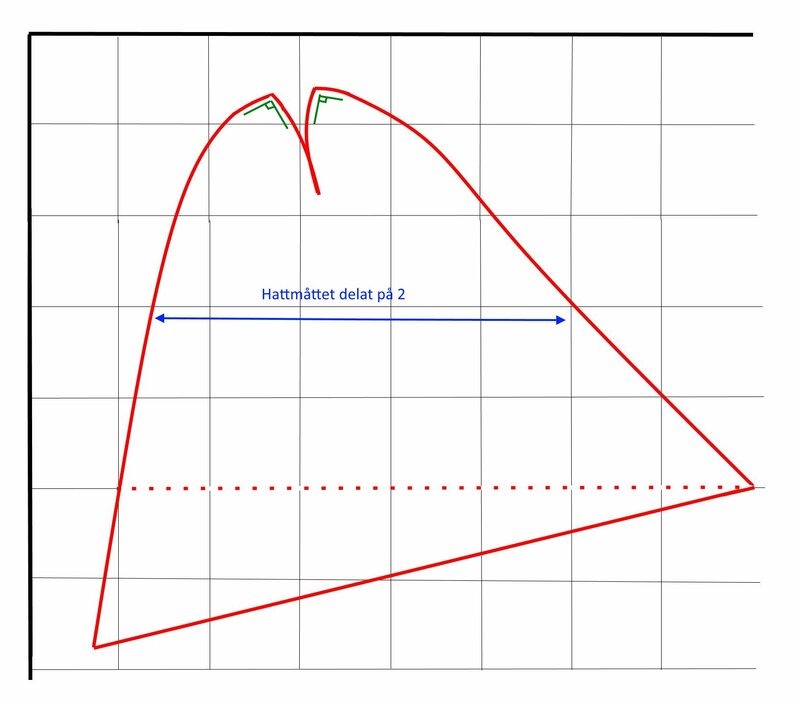 Blue dotted line = the fabrics core/weft. Start by closing the small V-shapes on the crown, and then line up and sew the two halfs together. I noticed that the underside got better than the side that I have up when I sew like this. You have to put the needle in just about where you got out to take the next stitch. You will go over the gap like a zigzag almost. 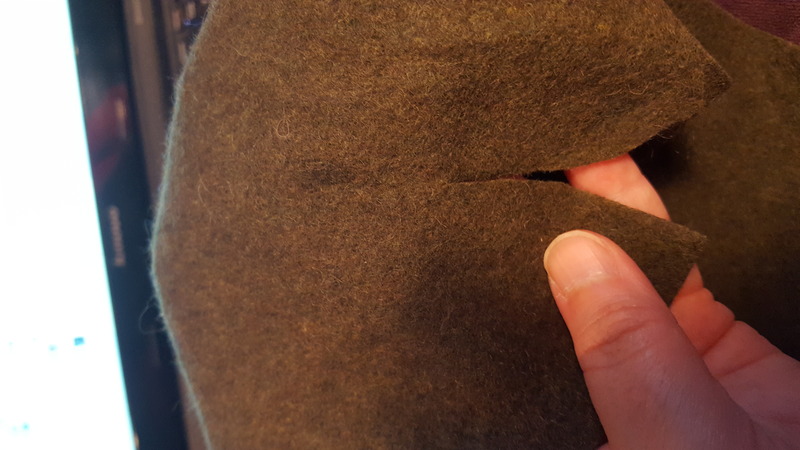 And this is the back of the hat, you can se how it is curving in on top and giving you that round three-dimensional shape that you get from the pulled felted hat. If you want to make the hat taller or pointier on top or… well any changes on the crown. Just make certain that you leave the corners at 90 degrees so they will go together flat. You are awesome! Thanks for the tutorial!